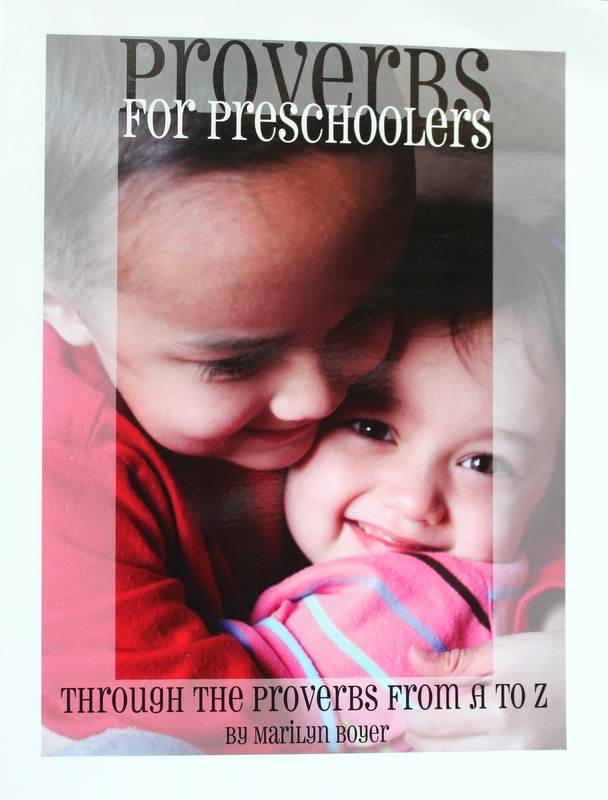 On our last trip to the homeschool book fair, we found an amazing book for teaching your preschoolers their letters. 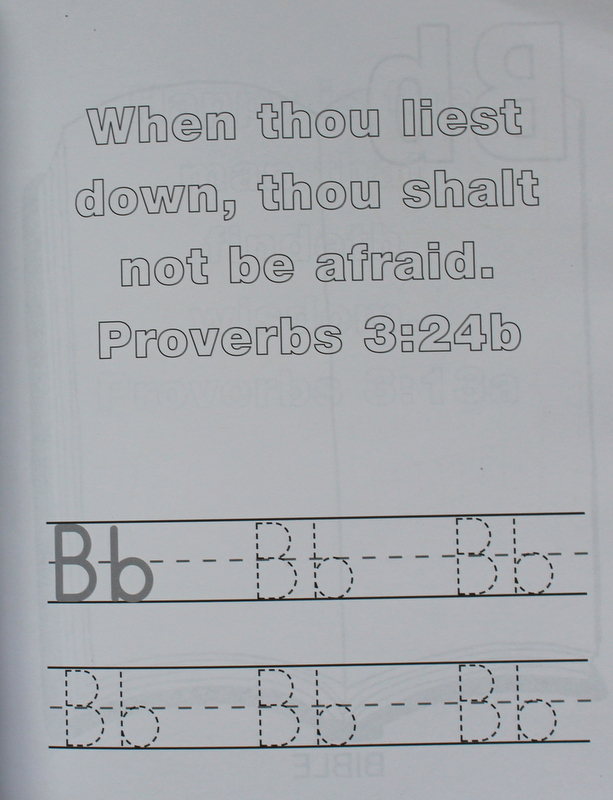 For every letter of the alphabet there is a color page and a letter practice page. 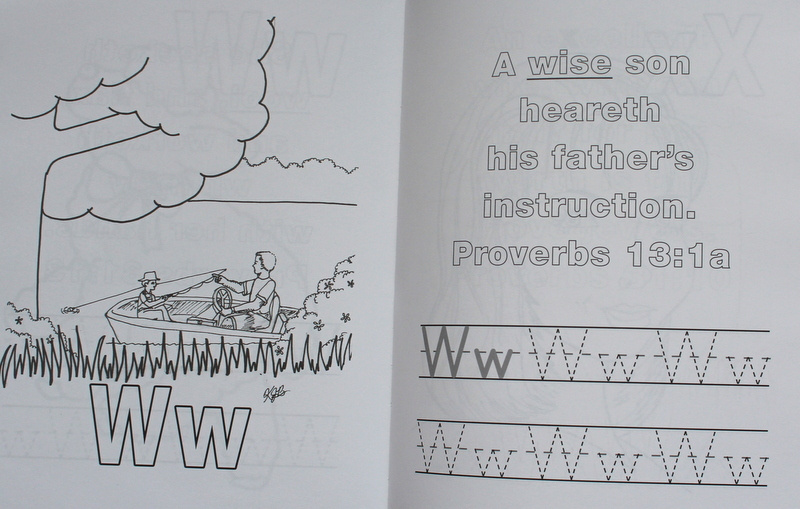 It teaches both upper case and lower case letters. 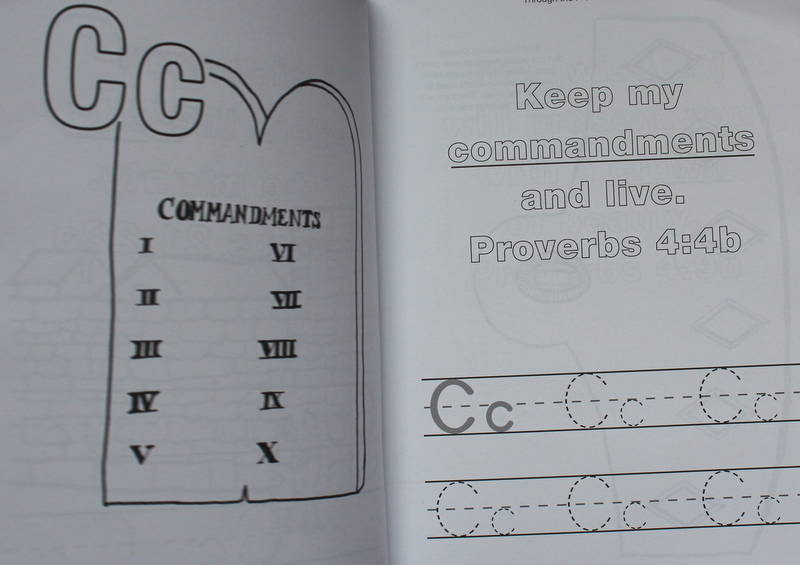 But even more important, they are learning through the book of proverbs!